The benefits of story time are well known: children begin to develop an initial knowledge of letters and sounds along with the understanding of how a story is structured - contributing towards early literacy skills. Additionally, storytelling encourages children to independently read while promoting language and communication skills. Storytime has so many benefits to EYFS children, enhancing their imagination and improving their literacy skills. However, in Early Years, story time needs to be more than a story being told, it needs to be dynamic, collective and dramatic. 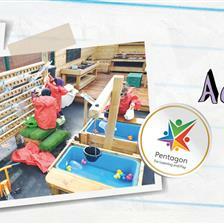 This is because it has been found that these young minds learn best through movement, physically processing information; they are experiencing the world using all their senses rather than concentrating on sitting still and letting their minds drift into imaginary worlds. An example of bringing a story alive could be encouraging the children to role play as the characters in the story. Many teachers begin a new topic of learning with a pertinent, intriguing story since it creates an exciting atmosphere about the new topic while creating a fun social experience, which can be shared as a class. Stories also underpin much of the new topic. As stories need to be brought to life, we have explored 3 simple activities which transport your young children into an imaginary world, whilst fully engaging children in the words being spoken. 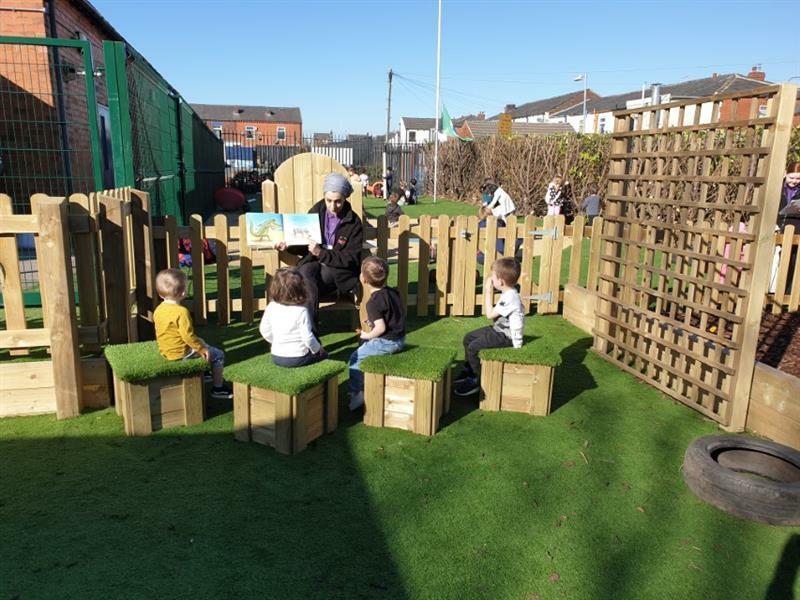 An outdoor area dedicated to stories is a fantastic way to engage children in the story and spark their imaginations as you enhance stories and fairy tales. In the fresh air, children will have a natural sense of freedom, feeling free to use their imagination to transport themselves into the story that is brought to life on the playground. 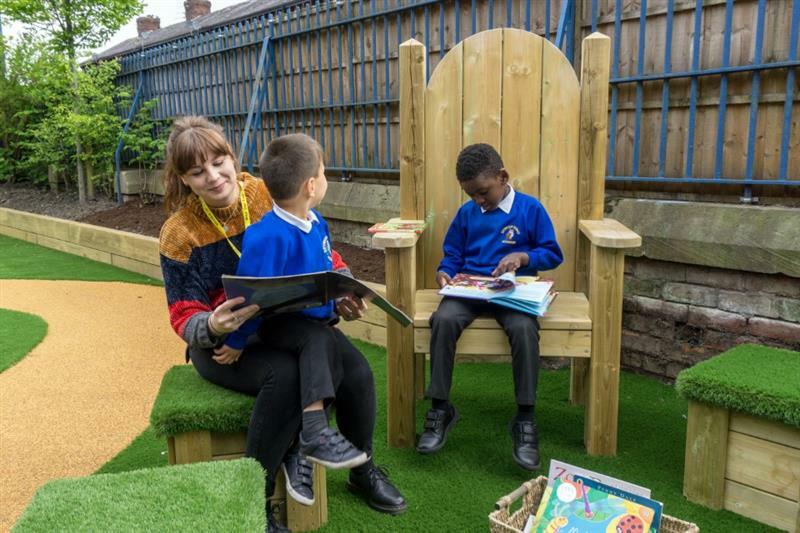 Children will want to sit in the magical Storytelling Chair to read their own stories to others sat around, further developing their spoken language, communication, self-confidence and PSED, all while learning to respect each other and the importance of turn taking. 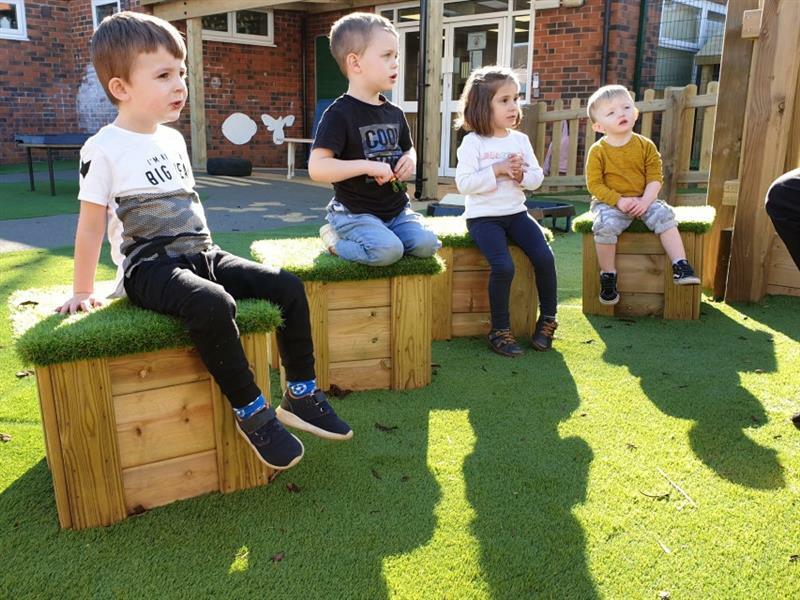 While sitting on magical mushroom seats or marvellous artificial grass-topped seats, children will be fascinated with their surroundings as they bring a setting from the story to life on the playground. A young girl could be walking through the forest, across the playground, heading to her Grandma’s house where a big bad wolf is waiting or a mouse could be taking a stroll through the deep dark woods meeting a fox, an owl, a snake and a gruffalo on its way - silly, don’t you know that there’s no such thing as a Gruffalo? Decorating a Playhouse or Outdoor Performance Stage with relevant props is an intriguing way to begin a new topic of learning while rising excitement levels of what the new topic could be. 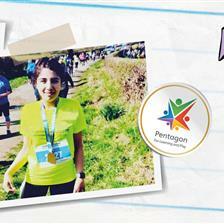 As well as this, teachers can use this activity to test children’s current knowledge about the topic. By transforming one of these open-ended pieces of outdoor play equipment into a wonderful setting from the book or into a theme related to the new book, children will naturally use their imaginations to discover what the new topic is. 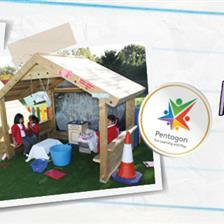 Once the children have found out what the new theme of learning is, children can revisit the playhouse and performance stage to re-enact parts of the story: further developing communication, language and social skills while enhancing their learning through imaginative play - a stimulating way to bring a story to life. 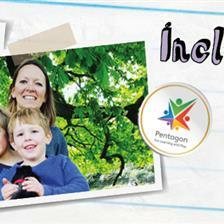 Bring story time to life by transforming scenes of a story into an active challenge. 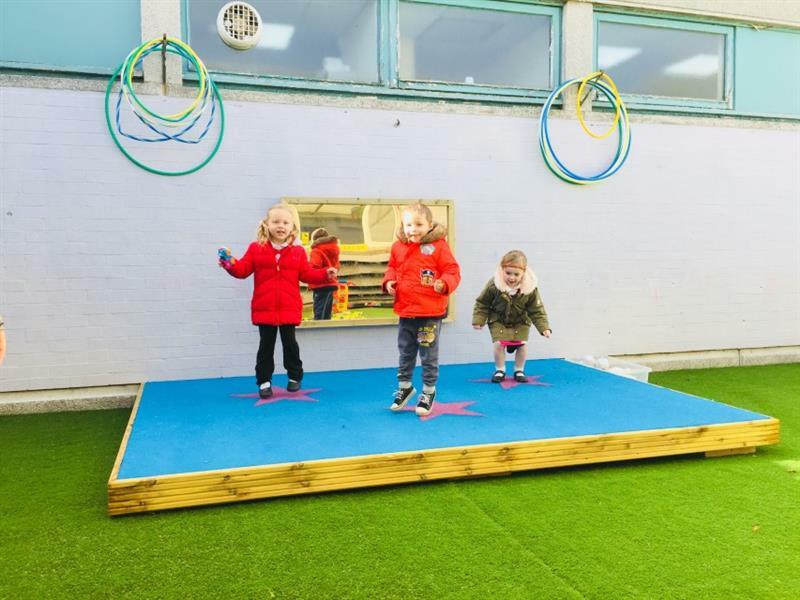 Stories such as ‘The Three Little Pigs’ and ‘We’re Going on a Bear Hunt’ can create an exciting challenge which promotes physical activity and engages every young child in your class. As the story is read, children can participate in a thrilling venture around the playground, crossing the Trim Trail or Climbing Frame one by one as the character from the story advances on their own adventure. Children would begin to learn about the importance of turn taking as they would have to take turns crossing the equipment and would begin to understand positional language when listening and acting on certain parts of a book. 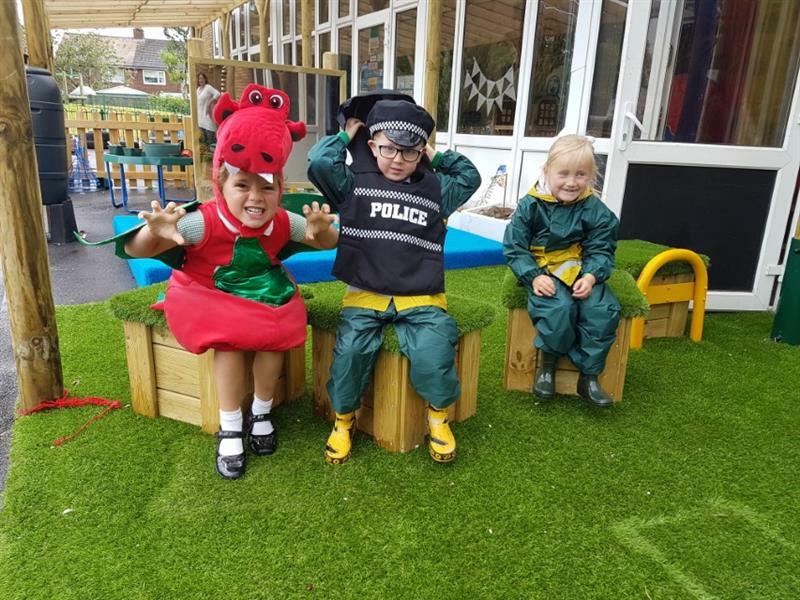 If you are looking to bring story time to life or transform your EYFS outdoor area into an exciting environment that enhances the curriculum, do not hesitate to Contact Us. 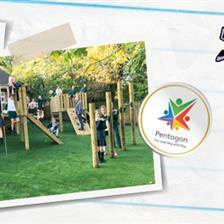 Our fantastic Playground Consultants are educational experts with first hand experience of teaching in an outdoor environment.